ATM AZIENDA TRASPORTI MOLISE LINEA CB002: AGNONE-VILLA CANALE-POGGIO SANNITA-SPRONDASINO-BAGNOLI DEL TRIGNO-DURONIA-MOLISE-TORELLA DEL SANNIO-FOSSALTO-CAMPOBASSO E RIT. ATM AZIENDA TRASPORTI MOLISE LINEA CB003: BARANELLO-CAMPOBASSO E RIT. ATM AZIENDA TRASPORTI MOLISE LINEA CB004: BUSSO-CAMPOBASSO E RIT. ATM AZIENDA TRASPORTI MOLISE LINEA CB 005: CASTEL SAN VINCENZO-ISERNIA-CAMPOBASSO E RIT. ATM AZIENDA TRASPORTI MOLISE LINEA CB009: FERRAZZANO-CAMPOBASSO E RIT. ATM AZIENDA TRASPORTI MOLISE LINEA CB010: FOSSALTO-CAMPOBASSO E RIT. 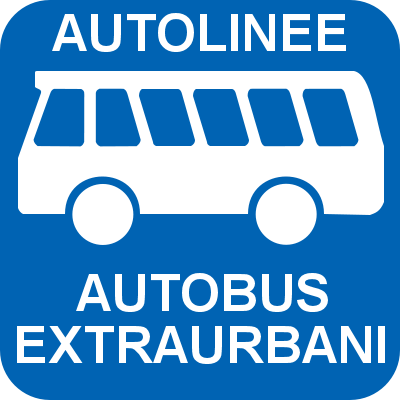 ATM AZIENDA TRASPORTI MOLISE LINEA CB012: FROSOLONE-SANT'ELENA SANNITA-SPINETE-BOJANO-SAN POLO MATESE-VINCHIATURO-CAMPOBASSO E RIT. ATM AZIENDA TRASPORTI MOLISE LINEA CB111: MACCHIA VALFORTORE-SANT'ELIA A PIANISI-PIETRACATELLA-CAMPOBASSO E RIT. ATM AZIENDA TRASPORTI MOLISE LINEA CB017: MONACILIONI-CAMPOLIETO-CAMPOBASSO E RIT. ATM AZIENDA TRASPORTI MOLISE LINEA CB000: MONTEMITRO-MONTEFALCONE NEL SANNIO-CAMPOBASSO E RIT. ATM AZIENDA TRASPORTI MOLISE LINEA CB018: MONTENERO DI BISACCIA-MAFALDA-TAVENNA-PALATA-LARINO-CAMPOBASSO E RIT. ATM AZIENDA TRASPORTI MOLISE LINEA CB020: ORATINO-CAMPOBASSO E RIT. ATM AZIENDA TRASPORTI MOLISE LINEA RICCIA-JELSI-GILDONE-CAMPOBASSO E RIT. ATM AZIENDA TRASPORTI MOLISE LINEA CB025: ROCCAMANDOLFI-CAMPOBASSO E RIT. ATM AZIENDA TRASPORTI MOLISE LINEA CB027: ROCCAVIVARA-VIVARA-TRIVENTO-PIETRACUPA-CAMPOBASSO E RIT. ATM AZIENDA TRASPORTI MOLISE LINEA CB027: TRIVENTO-SALCITO-PIETRACUPA-CAMPOBASSO E RIT. ATM AZIENDA TRASPORTI MOLISE LINEA CB029: SANTA CROCE DEL SANNIO-CERCEMAGGIORE-CAMPOBASSO E RIT. ATM AZIENDA TRASPORTI MOLISE LINEA CB030: SEPINO-SAN GIULIANO DEL SANNIO-CERCEPICCOLA-CAMPOBASSO E RIT. ATM AZIENDA TRASPORTI MOLISE LINEA CB027BIS: SAN FELICE DEL MOLISE-MONTEMITRO-MONTEFALCONE NEL SANNIO-TRIVENTO-CAMPOBASSO E RIT. 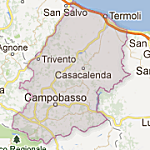 ATM AZIENDA TRASPORTI MOLISE LINEA CB027BIS: TRIVENTO-TORELLA DEL SANNIO-CAMPOBASSO E RIT. SATI LINEA CAMPOBASSO-TERMOLI-SAN SALVO MARINA-PESCARA E RIT. SATI LINEA CB044: CASTELLINO DEL BIFERNO-PETRELLA TIFERNINA-CAMPOBASSO E RIT. SATI LINEA CB110/B: CASTELVETERE IN VAL FORTORE-RICCIA-CAMPOBASSO E RIT. SATI LINEA CB 059: MORRONE DEL SANNIO-RIPABOTTONI-CAMPOBASSO E RIT. SATI LINEA CB045: GUARDIAREGIA-CAMPOBASSO E RIT. SATI LINEA CB052 BIS: LARINO-CAMPOBASSO E RIT. 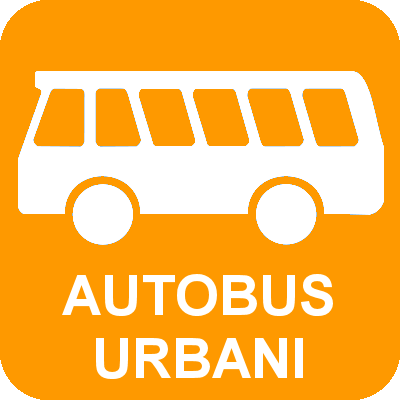 SATI LINEA CB042: LUPARA-CASTELBOTTACCIO-LUCITO-CAMPOBASSO E RIT. SATI LINEA CB 039: MONTEFALCONE NEL SANNIO-MONTEMITRO-SAN FELICE DEL MOLISE-ACQUAVIVA COLLECROCE-CASTELMAURO-CROCELLA-CIVITACAMPOMARANO-LUCITO-CAMPOBASSO E RIT. SATI LINEA CB047: PIETRACATELLA-SCALO F.S. RIPABOTTONI-CAMPOBASSO E RIT. SATI LINEA CB110: TUFARA-GAMBATESA-CAMPOBASSO E RIT. SATI LINEA CB043: SAN BIASE-SANT'ANGELO LIMOSANO-LIMOSANO-CAMPOBASSO E RIT. SATI LINEA CB043: MONTAGANO-CAMPOBASSO E RIT. SATI LINEA CB052: TERMOLI-Z.I. TERMOLI-LARINO-CASACALENDA-CAMPOBASSO E RIT.